Here is a tell-tale sign that you have an ice dam problem: icicles. When you have ice dams on your roof, you not only run the risk of having damage done to your gutter system and your roof. You may also experience water leaks in your attic, saturated wood, wet insulation, mold, rot, damage to the upstairs of your house, and damage to stored items. R Factor has the answers to your ice damming problems. By air sealing the attic and upgrading the insulation, you can keep the roof cold and prevent ice dams form forming. Ice dams can be detected wherever there are icicles lining the edge of a roof. Given time to form and build, ice dams can cause water to seep into an attic space, absorbing into wall insulation, the ceiling below, and even the descending interior walls. 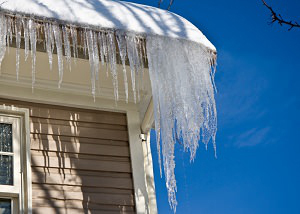 Ice dam build-up will do damage to gutters and can be a safety concern as well. Besides the obvious damage and subsequent repair costs to a home’s gutters, shingles and roof covering, the interior damage can add up into the multiple-hundreds or even thousands of dollars. But these costs can be avoided with awareness and knowledge of how ice dams form. Improperly insulated attic hatches or drop-down stair openings allow warm interior air to leak up into the attic and cause snow to melt on the surface of the roof. 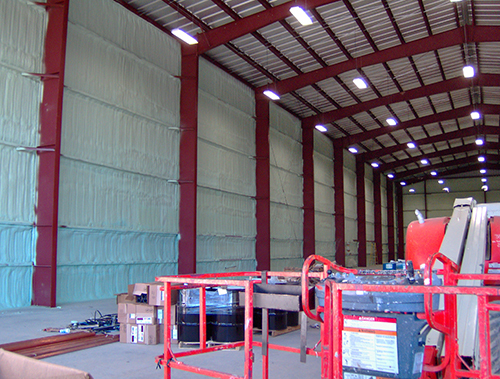 Improper wall insulation can be a major contributor to ice damming. If the wall is not insulated or is insulated incorrectly the heat from inside escapses and goes to the attic, therefore warming the attic and making the snow melt, then refreeze at the soffit Roofs that are warm are a major part of the ice dam problem. A Simple Equation. Snow + overly warm roof = the prefect conditions for ice damming Snow, melted by the warm roof, runs down and meets the colder overhang of the roof edge. There, it freezes and forms a ridge or dam. Icicles form over the edge and the ice dam blocks water that is running down the roof. That water will soon back up under the shingles and leak into your attic and in to your home. There are times when the water running down the roof reaches the gutters of your home. But as the gutters are extended over the warmth of the house, the same re-freezing happens, filling the gutters with ice and making them useless. Then icicles and ice dams form and the water damage can begin. In either situation, the ice dam that forms creates a reservoir of water. From there, it's only a matter of a short amount of time before the water seeps up under the shingles and leaks into your attic and home. Snow will have a tough time melting on a roof that isn't warm and has a uniform temperature. No melting snow means no run off and re-freezing on the eaves. Having the right amount of attic insulation will keep the heat in your home and not leaking up into the attic and that needed uniform roof temperature can be achieved and extended from the roof peak to the eaves. 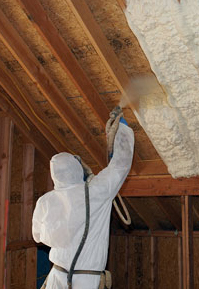 Adding cellulose over the attic floor after air sealing or spray foam is a good solution. This may keep the roof free of ice dams. Air sealing prevents what are called thermal bypasses. These bypasses are evil to an attic whether it is summer or winter. Heat from the inside of the home, in the winter going to the attic from the living space. During the summer the heat from the attic finds it way back down these thermal bypasses and make the floor below the attic sometimes unbearable. Even though your house and your attic are attached, it's essential to have them be separate to prevent ice dams. Air sealing the leaks that allow warmed air to seep into the attic, followed by installing the correct amount of home insulation, will not heat the roof and ice dams can be prevented. Spray Foam the Roof Deck. This is one of the best methods for taking care of the ice dams in the winter and the extreme heat of the summer. 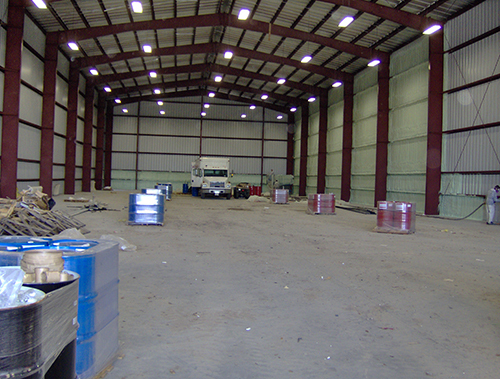 Depending on the situation open or closed cell foam will do the trick. This method keeps the roof deck cold and stops the treated air from going to the roof deck itself. In the past twelve years we have done just this on numerous homes with great success. R Factor solves ice damming problems. A properly insulated and air sealed attic keeps your roof cold and stops the melt/freeze cycle that grows ice dams. Call us today at 315-783-6978 to schedule a free estimate appointment! 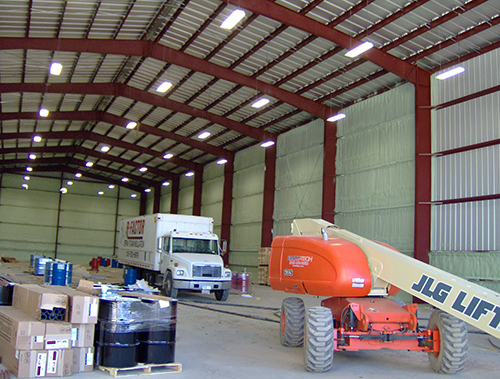 We're the North Country's #1 provider of top quality energy saving solutions. Whether it's spray foam or cellulose insulation, Indow window inserts, duct work, crawl space improvements or anything in between, R Factor has the knowledge and products to keep your home warm all winter and cool through summer!